Posted January 9, 2017 by William Martin & filed under Ratings. 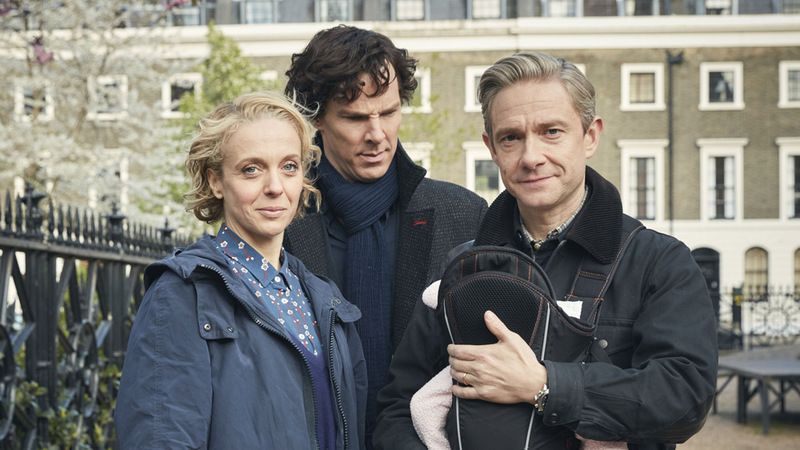 The first episode of Sherlock‘s new season was the most watched programme over the festive season in the UK, across all channels. ‘The Six Thatchers’ pulled in 11.3 million viewers and a consolidated audience share of 37.8% on New Year’s Day, consolidated viewing data has revealed today. Pre-order Season 4 on DVD on Amazon. Pre-order Season 4 on Blu-ray on Amazon. Last year’s one-off Sherlock special, ‘The Abominable Bride’, also topped the festive ratings with over 11 million viewers. The Sherlock Season 4 finale airs next Sunday at 9pm on BBC One.